Health	Relax Holy Basil Review – Is it Worth it? Health	Is Banana Boat Aloe Gel Safe? It is true that the sun’s UVA and UVB rays are more destructive than before. That is why it becomes more crucial for anyone to apply sunscreen before leaving the house. This way, the skin is protected from the scorching heat of the sun. In fact, several people suffer from skin cancer and other medical issues because they have been severely exposed to the sun. Because there is a wide variety of such product in the market, it can be somehow complex to choose the right one for you. However, if you’re seeking for a water resistant product, you may want to try Arbonne SPF 30 Sunscreen. With this product, you can be ensured that your skin is protected when your outside or even when you’re swimming at the beach. Arbonne SPF 30 Sunscreen is a kind of sunscreen protection that takes shielding to the next level with its water resistant formula. Anywhere you go and whatever you do, you are guaranteed that your skin is protected with this product. It has creamy texture that makes it easy to use and makes your skin moisturized. It also has antioxidants for added protection against the sun’s damage. It has SPF 30 that guarantees your skin is rightfully shielded even when it’s too sunny outside. Arbonne SPF 30 Sunscreen is also a reliable and safe product because its PH has been tested and is approved by dermatologists. Thus, Arbonne SPF 30 Sunscreen has undergone all the necessary tests before being introduced to the market. ChamomillaRecutita (Matricaria) Flower Extract, TiliaCordata Flower Extract, RosmarinusOfficinalis (Rosemary) Leaf Extract, Arnica Montana Flower Extract, GlycyrrhizaGlabra (Licorice) Root Extract, Magnesium Ascorbyl Phosphate, RicinusCommunis (Castor) Seed Oil Seeds, Citrus AurantiumDulcis (Orange) Peel Oil Fruit, Citrus AurantiumBergamia (Bergamot) Fruit Oil Plant, Citrus MedicaLimonum (Lemon) Fruit Extract Fruit, Salvia Sclarea (Clary) Oil Plant, Juniperus Mexicana Oil, Citrus Reticulata (Tangerine) Leaf Oil, Citrus Nobilis (Mandarin Orange) Peel Oil, CanangaOdorata Flower Oil, Pelargonium Graveolens Extract, LavandulaAngustifolia (Lavender) Oil, Citrus Aurantifolia (Lime) Fruit Extract, LitseaCubeba Fruit Oil, as well as other clinically tested substances. Arbonne SPF 30 Water Resistant Sunscreen works by protecting your skin from the harmful rays of the sun. The sun’s damage is now much worse due to environmental factors, which is why application of this product is vital for your skin’s wellness. Use it on your skin equally. Better apply Arbonne SPF 30 Sunscreen 30 minutes before going out and apply on the uncovered parts of your skin. What are the Strengths of Arbonne SPF 30 Water Resistant Sunscreen? What are the Weaknesses of Arbonne SPF 30 Water Resistant Sunscreen? 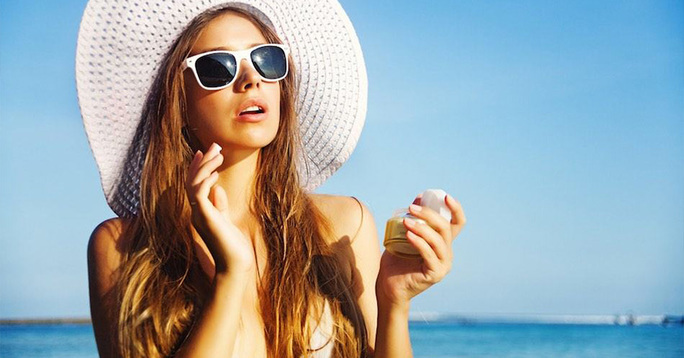 Nowadays it is vital to use a sunscreen protection before going out because the sun’s rays are more detrimental due to various environmental factors. Luckily, Arbonne SPF 30 Sunscreen won’t make your skin dry. This is also great even if you have regular or oily skin as there wouldn’t be any adverse reactions. However, having a sensitive skin is a different story as Arbonne SPF 30 Sunscreen contains some extracts that may not be good for those with super sensitive skin. Arbonne SPF 30 Sunscreen can be conveniently bought via multiple online sites for $34.99. This figure can vary. You can have free shipping if you purchase the product from Amazon.com. Caution is important when using a product for the first time. With Arbonne SPF 30 Sunscreen, the only negative side it holds is the fact that it contains components for fragrance that could be irritating to the skin. Thus, those individuals with super sensitive skin should ask their doctor first if it’s safe to use Arbonne SPF 30 Sunscreen. As for customer testimonials, it seems Arbonne SPF 30 Sunscreen is famous among users. Most of these reviews are positive, so that’s something. It shouldn’t be so surprising since Arbonne SPF 30 Sunscreen has lots of benefits like its creamy formula and SPF 30, which ensures formidable shield from the sun. Meanwhile, there are users who are also concerned with the product’s fragrance content as components for fragrance can also be skin irritants.